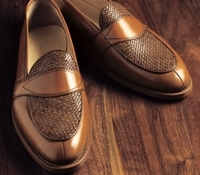 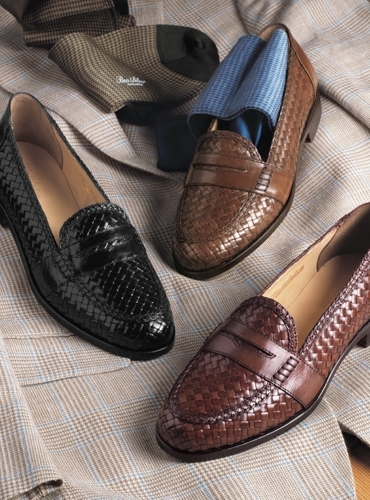 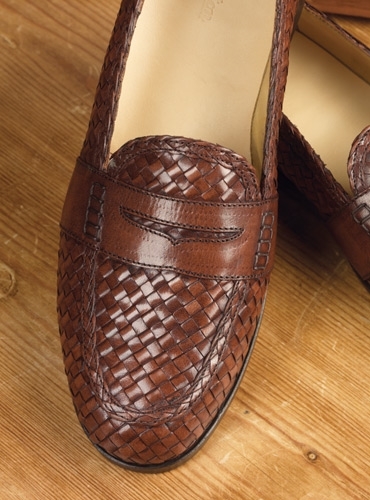 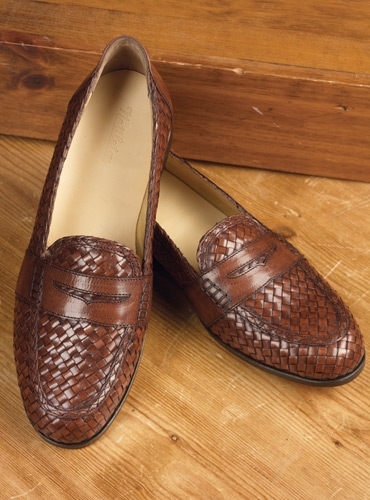 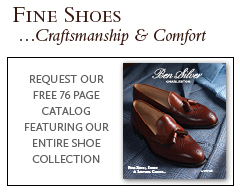 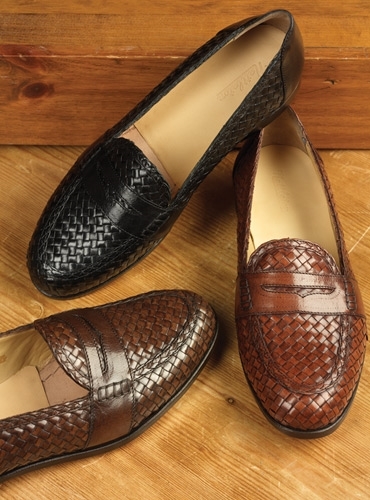 Our newest shoes from Nettleton are a classic strap loafer in a woven leather basketweave. 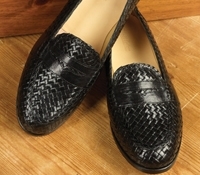 Available in sizes 8-12, 13 in D width. 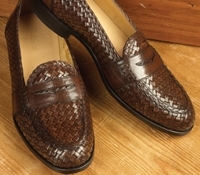 Shown here in A-chestnut, but also available in B-brown and C-black.